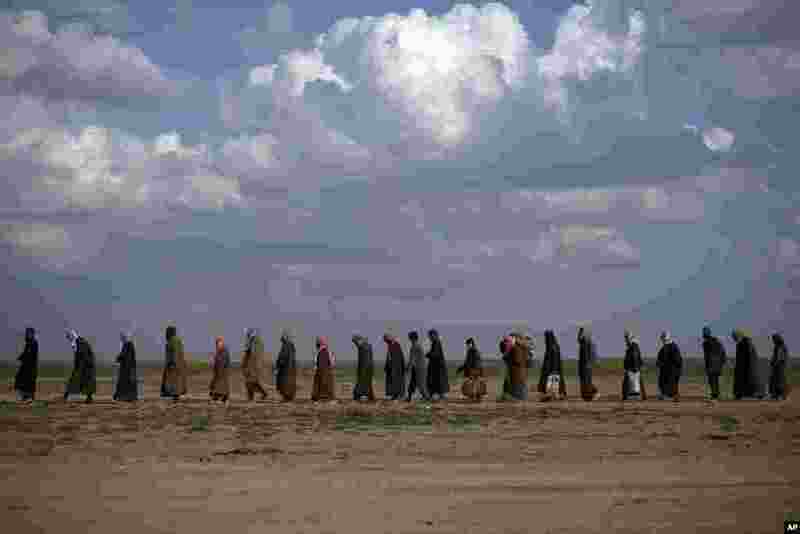 ١ Men walk to be screened after being evacuated out of the last territory held by Islamic State militants, near Baghouz, eastern Syria. 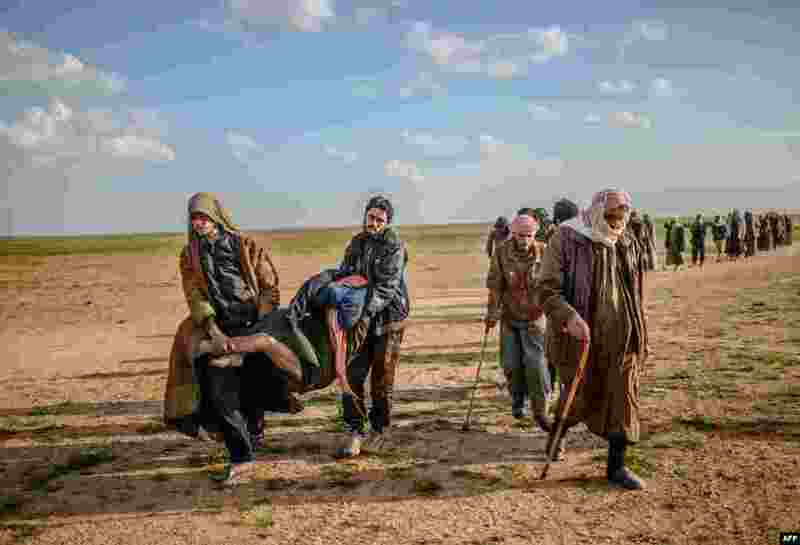 ٢ Men suspected of being Islamic State (IS) fighters carry a wounded man as they walk toward the Kurdish-led Syrian Democratic Forces after leaving the IS group's last holdout of Baghouz in Syria's northern Deir Ezzor province. 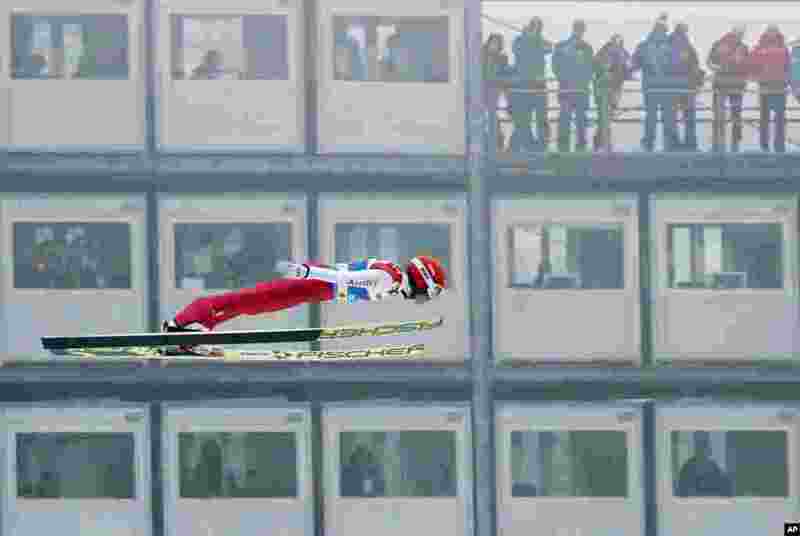 ٣ Germany's Eric Frenzel soars through the air during the ski jumping portion of the Nordic Combined, at the Nordic Ski World Championships in Innsbruck, Austria. 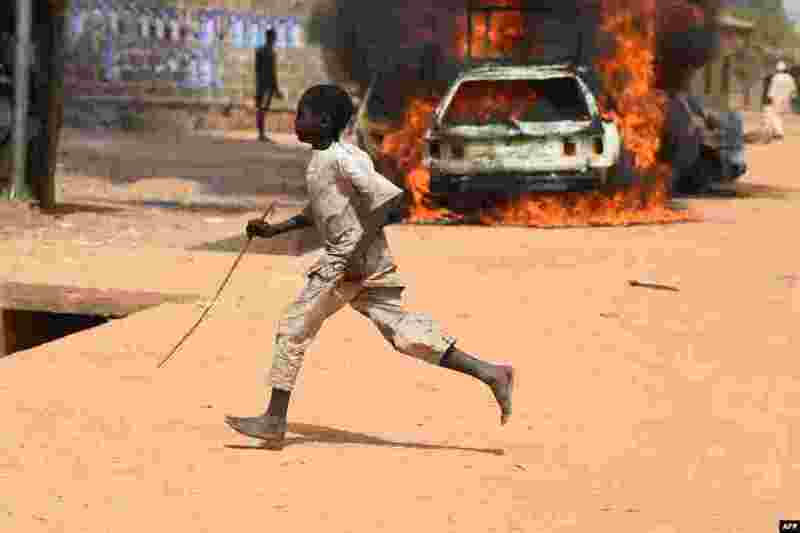 ٤ A boy runs past burning cars following deadly clashes between supporters of the ruling All Progressives Congress (APC) and the opposition Peoples Democratic Party (PDP) in Kano, Nigeria.